​Please click on the links below for more information about the horses that are currently for sale or sold. 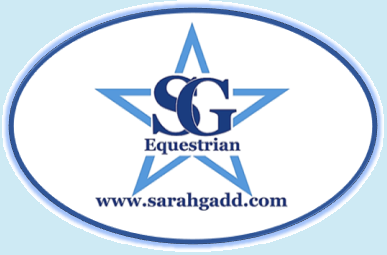 ​Horses produced by SG Equestrian, both personally and on the behalf of Clients. Sox was an absolute dream of a horse, we had some fantastic results together and she was an excellent mother when we bred our first home bred foal, Diamond Mill. We competed across many disciplines together, including B.S.J.A up to Newcomer level, B.D up to Elementary level as well as competing in Area 11 Dressage, Show Jumping and Eventing Pony Club Qualifiers. She seemed wasted in the field after having Milli, so I brought her back into work and sold her to another Pony Club home where she could teach them as much as she has taught me. Dress Sense (Sabrina) joined the team in November 2009. I purchased her again from the Ascot Bloodstock Sales as I had enjoyed retraining Roxie and was looking for another horse to retrain and sell on. She was very lively at the sales and I never saw her trot up in the stable yard! She was in the sales ring and started at £5,500 but nobody bid on her so her start price dropped as low as it can (very little) so i got up checked she had clean legs and good feet, which she did so i placed a bid on her and 5 seconds later the hammer went down! 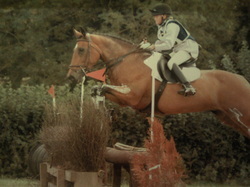 We went on to have some brilliant results and she really helped me get back into eventing after my accident. It was a very hard decision to make but I just didn't have enough time for three horses and working full time! She couldn't have gone to a better home, and we all wish Annette Tomlin and Sabrina well and hope they have a great future ahead of them! Please Click Here to view more pictures or us training and competing. unbeatable on the event circuit! He was a 7 year old gelding when we had him, but he had an attitude more like a mare. 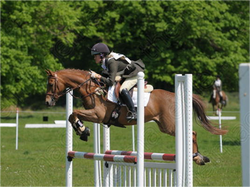 We had some great results together both on the affiliated ciruit and with the Pony Club, including qualifying for the Pony Club Championships in 2008. He was then sold to a lovely family in Yorkshire where he soon settled in and began getting brilliant results with them too. Dawn was such a pretty little pony and always wanted to please everyone. She had such a good movement and incredible jump but unfortunately after her accident (see about me) vets advised us she may not jump again. We then came to the very sad decision that we would sell her on as after riding Sox she felt like a Shetland and I felt ready to move on. We advertised her for sale on Horse Quest and within 24 hours we had sold her! We received a phone call for a lady that lived in Derbyshire and she said she was down in London working the next day and could she come and try her. She turned up, without her daughter, saw me ride her and left the cheque with us that day. John Parker Transport came the next day to collect Dawn ans we have since heard that she has been gaining outstanding results on the Dressage circuit and has also started jumping. Molly was a lovely New Forest Mare brought by my mum for my little brother Oliver. He wanted to ride in the summer time but then as soon as it got into the winter he went into hibernation and didn’t come out and see her at all! 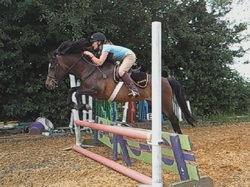 I then started riding Molly and my mum and I agreed that we would produce her and then sell her on. 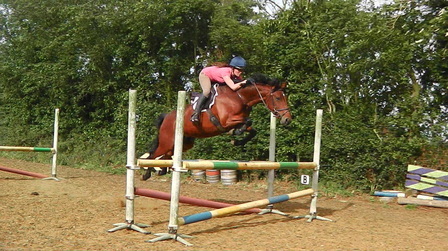 She had a fantastic stride and a phenomenal jump for a pony. 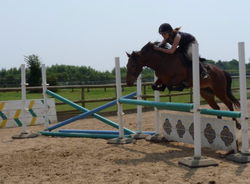 We took her to many show jumping shows and took her cross country schooling and she jumped everything. We then advertised her, and the first people to come and see her brought her. She is now doing endurance competitions up to a very high level and doing very well too. Holly was a bomb proof connemara mare, nothing bothered her at all. 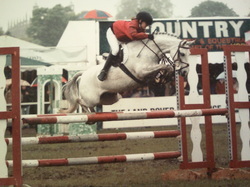 She was very talented and once I had fully backed her she developed very quickly into the perfect pony club pony. 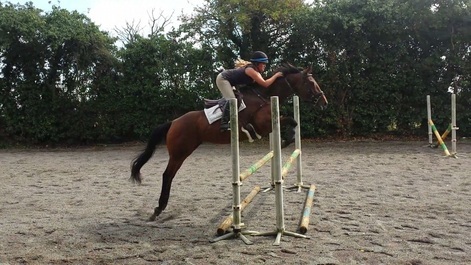 She went well on the flat, hacked out alone or in company and loved her jumping. She jumped everything that was put in front of no matter how scary it was, and had a fantastic technique over a fence. She was sold on to a member of the East Sussex Pony Club and we still see them regularly at competitions in the south east.